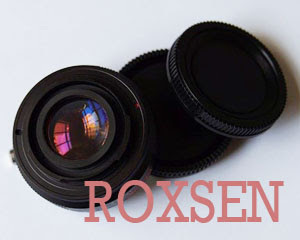 In common lens adapters, cropping effect occurs in all APS-C digital cameras with 1.5x magnification. 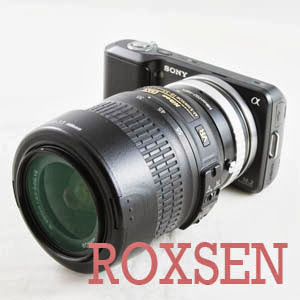 This adapter reduces focal length to 0.72x , to adjust the image size to near 1:1 so that the focal length of the image is close to actual focal length of the lens, e.g. 50mm x 1.5 x 0.72 = 54mm. For using Micro Four Thirds (M4/3) mount digital cameras with Nikon F mount lenses. Allows focus infinity. Switching camera to "Shooting without lens" mode is essential. 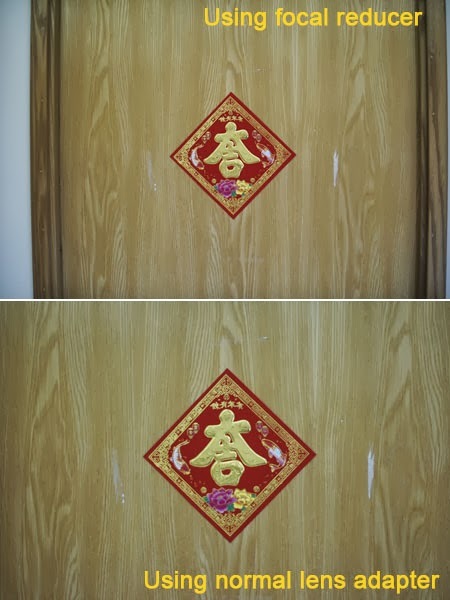 It helps to increase the maximum aperture to 1 stop, and you can use it faster by 1 stop. Blue spot will occur if lens is shot to sunlight or lamp directly. The depth is about 7mm, may hit the sensor of some cameras such as G1. The optical glass may need to be adjusted for Olympus OM-D, Blackmagic Pocket Cinema camera, etc. 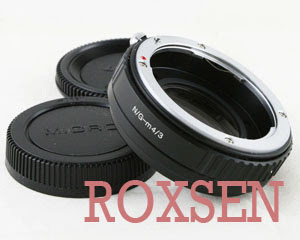 With aperture control ring, can be used in Nikon G lens, e.g. DX 18-55mm F/3.5-5.6G. mostly it will use Manual or Av mode. To remove the adapter you should unpress fixative pin and turn the adapter clockwise.